I came across this article and think its worth posting. Quite general but may be helpful. Are you buying a condominium? Here is a guide to help you understand the commitments better so that you know what you are buying into. There are many reasons why people make their homes in condominiums. Some do it because their children have grown up and moved out, and their homes are now too large. Others consider it because it is cheaper to buy a unit in a condo rather than a landed property in the location they want. The sharing of maintenance and repair responsibilities may also appeal to people who have limited time, or are not interested in such chores, as well as those who want recreational facilities at their doorsteps. 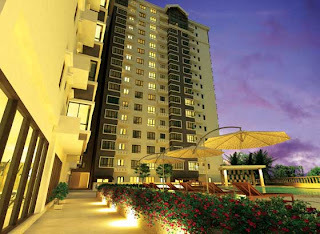 Thus, when you buy a condo, you are buying into a certain lifestyle, complete with requisite facilities and services such as security, cleaning of common areas, swimming pools, multi-purpose halls, playgrounds for children and courts for racquet games. The word ‘condominium’ comes from the Latin words ‘con’ which means ‘together’; and ‘dominium’, meaning ‘property’. This type of property ownership has two parts to it: Ownership of the individual unit, and joint ownership of the ‘common property’ with the other unit owners in the project. As the owner of one of the units in a project, you are required to pay a monthly service charge to cover the cost of maintenance and the management of the common areas. This charge will increase over time, as a result of inflation and other aspects beyond your control. Many of the ‘common’ facilities and services - such as lifts, swimming pool, gym, tennis court, landscaped gardens and even security services - are expensive to maintain. Many first-time condo buyers usually give little thought to exactly how this charge is derived and are also generally unclear about who actually does the maintenance, or who ultimately makes the decision about what work gets done. Furthermore, they may also not know whether it is the developer that looks after the project, or if it by the Joint Management Body (JMB) or is it a Management Corporation (MC) that is entrusted to handle the task. In this situation, the best thing all condo owners should do is study their Sale and Purchase Agreements, Building & Common Property (Maintenance & Management) Act, 2007 and the Strata Titles Act carefully to understand the responsibilities that comes along with stratified property ownership and the contributions to the funds involved. Condo residents share walls, floors, ceilings, hallways, entrances and parking areas with their neighbours. Respect for other people's right to the quiet and peaceful enjoyment of their homes is therefore essential. As a resident, your neighbours will appreciate (and hopefully reciprocate) your efforts to turn down the volume of your TV or hi-fi set, walk softly, close your doors quietly and limit your vacuuming to reasonable hours. Inconsiderate residents ruin the lives of those around them, but at the same time, you will need to have some degree of tolerance to live in a condo. For example, you have to accept the presence of noisy, boisterous children. Whether a condo is small or large, it will invariably come with a set of by-laws, rules and regulations for the benefit of the community at large. Whether it is the developer or the JMB or that of the MC that sets them, the covenants, by-laws, rules and other conditions bind all owners. These by-laws govern almost everything, from special assessments and the election of residents' association officers to the allocation of parking space and use of recreational facilities. Owners who fail to follow the by-laws can be fined, and complaints with the relevant authorities for the seizure of an owner's property can be made if fines or assessments are not paid. You can only be happy living in a condo if you are willing to follow its by-laws, rules and regulations. All unit owners automatically become members of a condo's MC, which is formed once strata titles have been issued to the individual units. However, even before the issuance of these titles, it is the JMB that is formulated to jointly work with the developers. The office bearers of the JMB or MC are made up of volunteer owners. There are cases, of course, of condo owners never volunteering their service, or even turning up for meetings. Residents will notice such lack of participation, especially if the project is small. Being part of a community means being prepared to serve on the JMB or MC, or joining a special committee, helping to get estimates for repairs, or taking responsibility for other tasks that benefit the condo as a whole. If you are willing to pitch in, you will earn the gratitude and respect of your fellow unit owners. •What is the history or background to the development? For example, have there been persistent problems with water leakage or poor collection of service charges? •If you are purchasing a unit that has yet to be issued with a strata title, will you have to bear the cost of any difference in the built-up area, should it be larger than the 'estimated size" as described in your Sale and Purchase Agreement (SPA)? •What is the current financial status of the condo's Joint Management Body (JMB) or Management Corporation (MC)? Ask for a copy of the year-end financial statement, the current budget and evidence of adequate insurance coverage. However, this is usually easier said than done, as many developers who manage condos consider financial statements highly confidential. You will have to be persistent so as not to be saddled with any sudden increase in service charges, or end up with a badly managed condo that will reduce the value of your property. •Does the common property appear to be well maintained and managed? •Will the unit owners own the facilities as part of the common property, or will the developer continue to own them? •How many units in the building does the developer own? In cases where the developer owns a larger number, it will continue to dominate the MC. •How many units have been rented out? In condos where there are more tenants than owner-occupiers, chances are you will have fewer people volunteering for community services. •Are there extra parking bays for owners? Are there enough parking bays for visitors? Are there restrictions on visitor or owner parking? Is there any parking allocation for motorcycles? •If there is vacant land around the condo, will some new project take shape there in the future? If so, what impact will it have on the quality of life that you expect? You will have to talk to the existing condo residents, particularly owner-occupiers, for answers to some of these questions. Ultimately, the decision as to whether condo living is right for you or not should be based on your preferences and tolerance level. Buying a condo should be a well thought-out decision, based upon an understanding of the social, financial and legal aspects of the purchase. Just as with the purchase of any type of house, you should consider carefully whether it is the right place for you and your family to live in, in the long term. this information will really come in handy... thanks for posting it up! My pleasure Samuel. Thanks for your visit and comment. Good information about Condo ownership. I don't think I would want to own one. Sounds like too much control by others. We have a Homeowner's Association in our neighborhood. Though, I appreciate how they hold everyone in the neighborhood accountable, they too can be a little intrusive. As a new player, I might need some game guides or information to enhance myself for real estate. Anyway thanks for great real estate blog. I still think condominium is better for investment. I prefer to have a landed property for a home. Bingo... i am not in Gen Y.